Medellin was incredibly affordable, and the weather could not have been more perfect. There were so many restaurants that we enjoyed. We especially loved going to Casacomedor. They had great cocktails and fresh fish. The decor is especially interesting, the designer definitely has an eye for detail and it did not go unappreciated by me for one. See a photo of the staircase below. What may have been the most memorable experience of the trip was our walking tour with Walter, with Comuna 13 Tours. 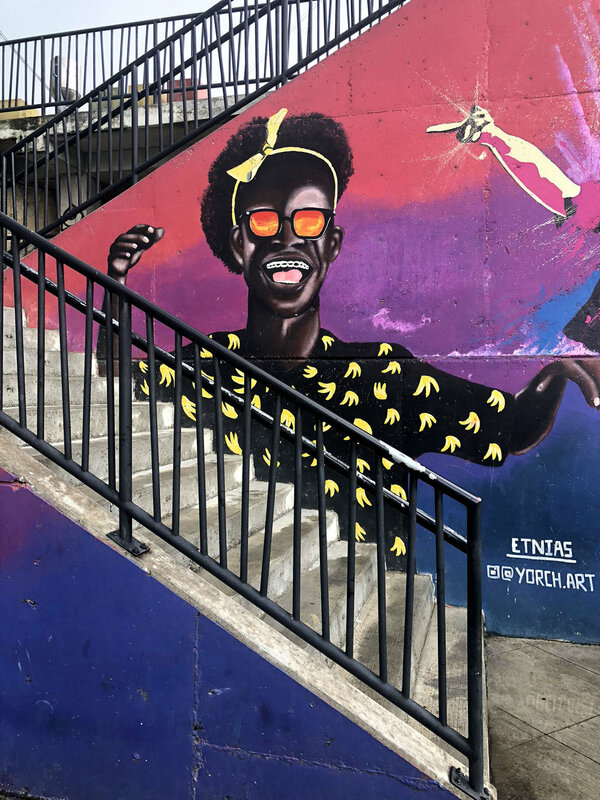 We were guided through Comuna 13, which up until relatively recently, was the most dangerous neighborhood in South America. It was thrilling to witness the history and culture in this area. We took the Gondola up the mountains, and got a close look at how people are currently living. 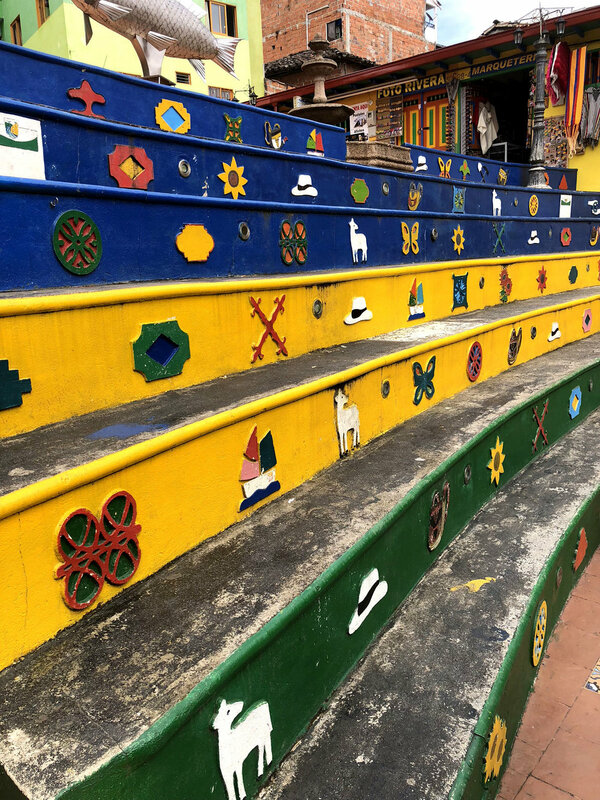 We then rode the Gondola back down and got on a local bus to another part of Comuna 13, where we go out and walked around to see the Street Art. 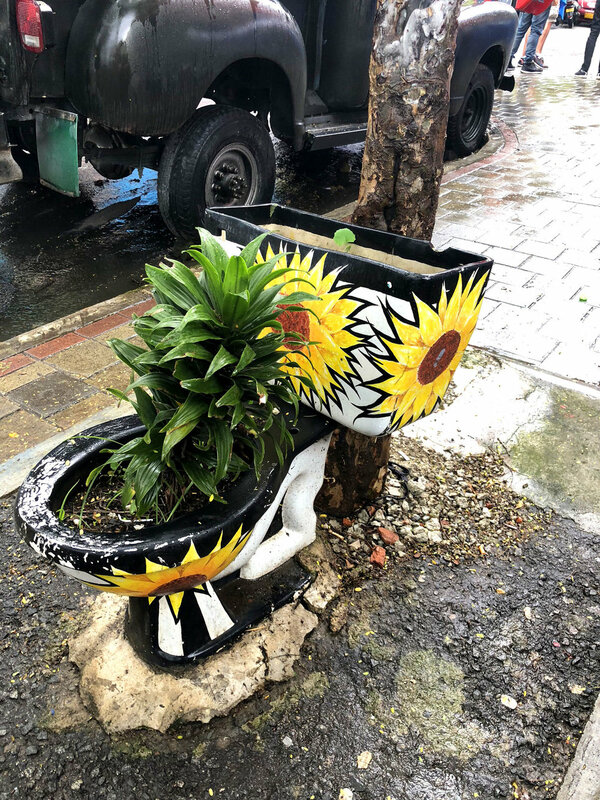 Different than in America, local artists are commissioned to design and paint these pieces throughout the neighborhood. 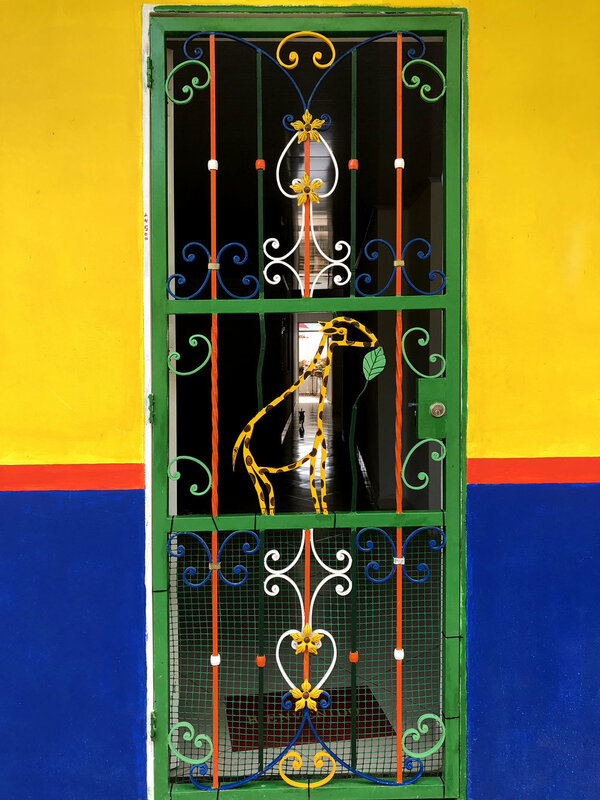 The art represents, hope, strength and is meant to invigorate the community. 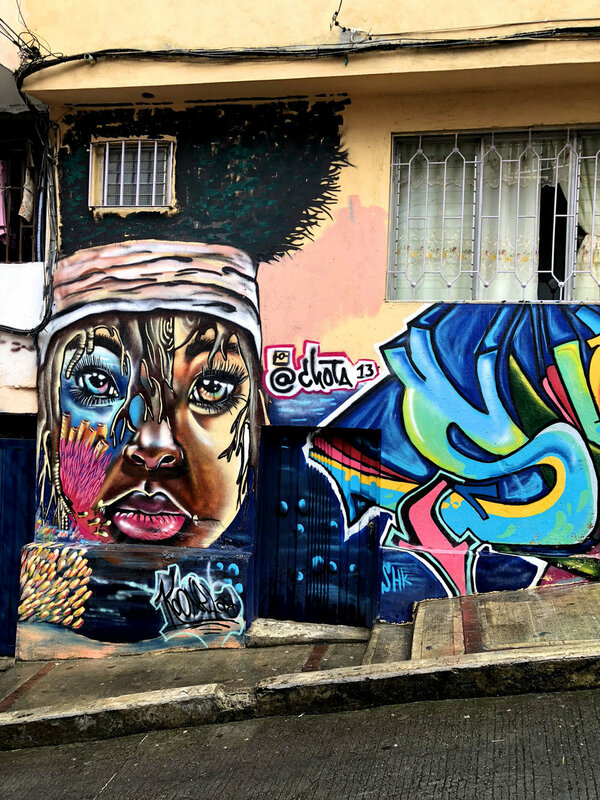 The artwork plays a strong hand in the major turn around that Comuna 13 has experienced. 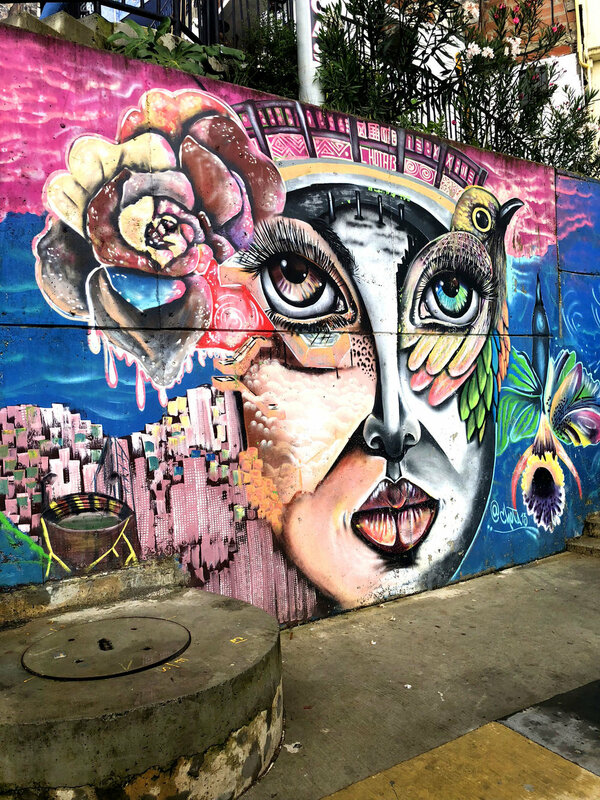 We saw pieces from Chota, Paola Delfin, Yesgraff, Yorch Art, and many other artists. 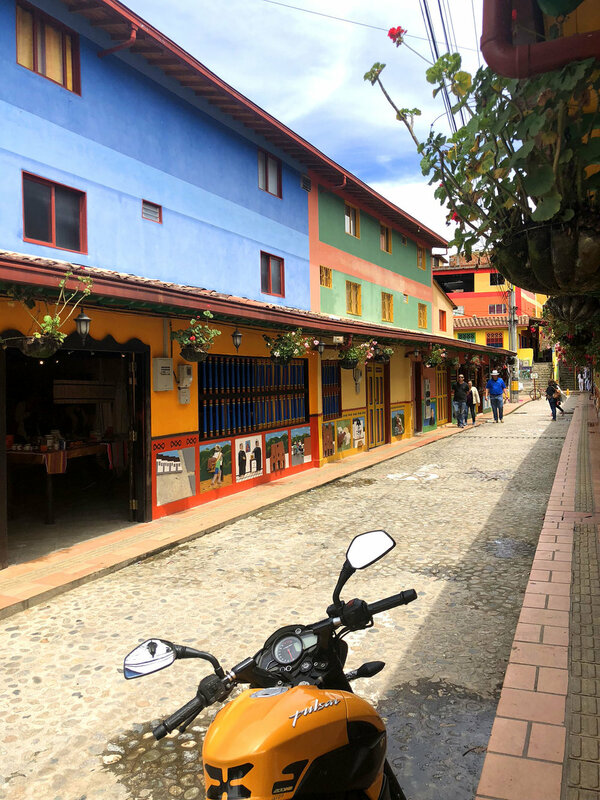 In addition to wandering around Comuna 13, exploring El Poblado and relaxing at the Energy Living's infinity pool we also took a day trip to Guatape to climb El Penol and visit the colorful town. 740 stairs, at 6500' altitude. NBD. The view once you reached the top was nothing less than breathtaking. And luck enough for us, during our climb the clouds broke and you could really see how clear and turquoise the lakes were. 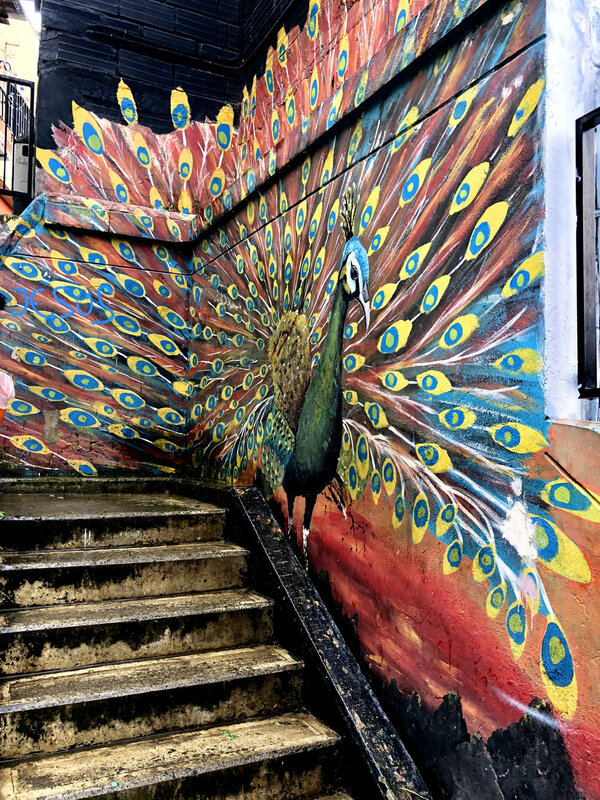 If you thought the street art in Comuna 13 was colorful, you haven't seen Guatape. 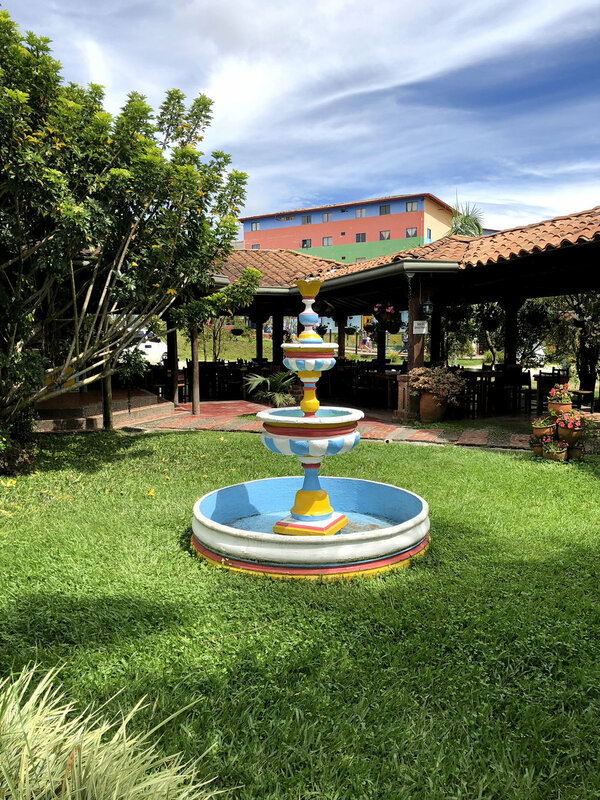 Guatape is a town full of color. We had a lovely crepe lunch at Guatacrep, which was well deserved after our climb up and down El Penole. Overall, Medellin is definitely a place I want to go back. It's a mammoth city, with so much left to uncover. If you are to visit, I would recommend either being able to speak Spanish yourself, or someone you are traveling with to speak the language. Lucky enough for me, my husband was able to communicate for us. For me, the city was full of inspiration. I hope that this post can give you a taste of that as well! "Travel isn't always pretty. It isn't always comfortable. Sometimes it hurts, it even breaks your heart. But that's okay. The journey changes you; it should change you. It leaves marks on your memory, on your consciousness, on your heart, and on your body. You take something with you. Hopefully, you leave something good behind."